Her very first concert in Berlin turned out to be a big party for a large part of this city’s huge Brazilian community (about 4.000 Brazilians live here), so when singer Maria Rita entered the stage at Astra at about 9:30pm last night, there was a big welcoming roar. In contrast to this other Brazilian singer with a famous mother, Bebel Gilberto, who more or less is more of a joke on stage than a serious artist, Maria Rita (daughter of the unforgettable and legendary Elis Regina and pianist/arranger César Camargo Mariano), is much more of the self-contained artist you want her to be and after about half a dozen albums, she has clearly found her own path. Yes, there are some similarities to her mother of course, some of the dramatic gestures, the humorous chatter in between songs and slightly rasping inflections in her voice which pop up from time to time, like on her interpretation last night of “Caminho Das Águas” from her 2005 album “Segundo”. Accompanied only by pianist Rannieri Oliveira, she wanted this show to be as intimate and intense as possible, as you were in her own living room, according to one of her announcements. But don’t think that it was all quiet and tender. Not with a fun-loving audience like this who was dancing and singing along to many of her tunes, like the still thunderous and very lively “Num Corpo Só” (from her 2007 album “Samba Meu”). She also dedicated a few songs to Ella Fitzgerald who was, like she said, the most influential singer in her life and career and whom she discovered while studying in New York. She also included music from her debut in 2003 (“Cara Valente”). 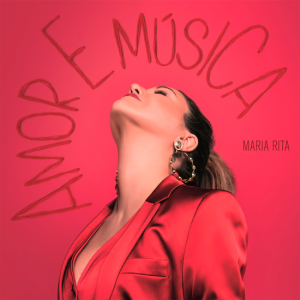 You may also want to check out her latest release “Amor E Música”, which came out earlier this year. Maria Rita continues her short European tour tonight in Dublin, Amsterdam on September 1st, Paris on September 3rd, and London on September 4th before she heads back to South America where she plays the Teatro Opera Orbis Seguros in Buenos Aires on September 20th.